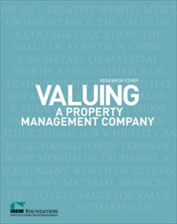 The IREM Foundation is pleased to publish this revised edition of Valuing a Property Management Company, complete with expanded sections to guide professionals as they determine the value of a company, prepare a company for sale, evaluate a company for acquisition, and contemplate provisions of the sales contract. 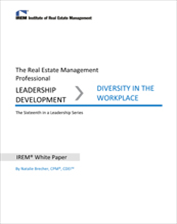 Whether selling or gifting a property management company, this publication provides the reader with different methodologies used to establish the value of a property management company. 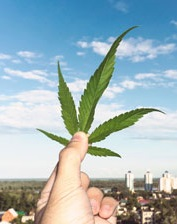 what is involved in structuring the deal. 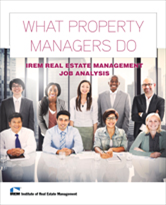 A final section provides perspectives on lessons learned from those who have bought and sold property management companies as well as insights into alternatives to buying or selling such companies.